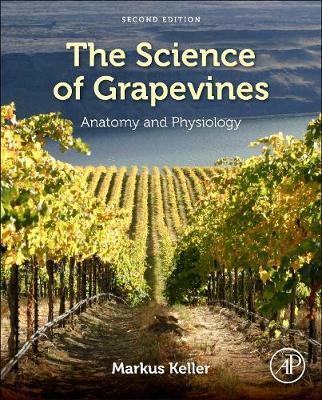 The Science of Grapevines: Anatomy and Physiology is an introduction to the physical structure of the grapevine, its various organs, their functions and their interactions with the environment. Beginning with a brief overview of the botanical classification (including an introduction to the concepts of species, cultivars, clones, and rootstocks), plant morphology and anatomy, and growth cycles of grapevines, The Science of Grapevines covers the basic concepts in growth and development, water relations, photosynthesis and respiration, mineral uptake and utilization, and carbon partitioning. These concepts are put to use to understand plant-environment interactions including canopy dynamics, yield formation, and fruit composition, and concludes with an introduction to stress physiology, including water stress (drought and flooding), nutrient deficiency and excess, extreme temperatures (heat and cold), and the impact and response to of other organisms. Based on the author's years of teaching grapevine anatomy as well as his research experience with grapevines and practical experience growing grapes, this book provides an important guide to understanding the entire plant. Dr. Keller received his master's degree in agronomy (plant science) and doctorate in natural sciences from the Swiss Federal Institute of Technology in Zurich. He has taught and conducted research in viticulture and grapevine physiology in three continents and is the author of numerous scientific and technical papers and industry articles in addition to being a frequent speaker at scientific conferences and industry meetings and workshops. He also has extensive practical experience in both the vineyard and winery as a result of work in the family enterprise and was awarded the Swiss AgroPrize for innovative contributions to Switzerland's agricultural industry.